If you’ve ever tethered your camera to your computer, you’ve most certainly faced one glaring problem – accidental disconnection. This issue becomes incredibly annoying if you’re using anything other than Capture One, as you’re often left needing to restart the entire program to recover. While tools like the TetherTools Jerkstopper protect your camera’s port, there hasn’t really been a solution to this problem, until now – with the TetherBlock. The TetherBlock is a simple solution provided by founder and creator David Blattel. By creating a plate that connects to your tripod mount on the bottom of your camera, David Blattel has found a clever answer to a painstaking problem. 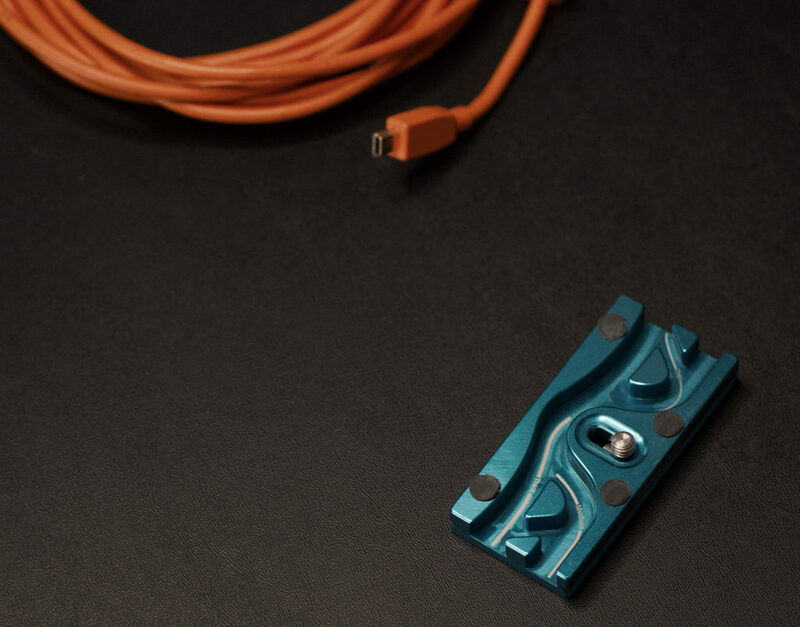 Within the block, is a number of routings that allow you to feed your tether cable through, and lock it into place. Additionally, what’s best is the TetherBlock is Arca-Swiss compatible, meaning you’re able to then connect your camera to your favorite tripod. 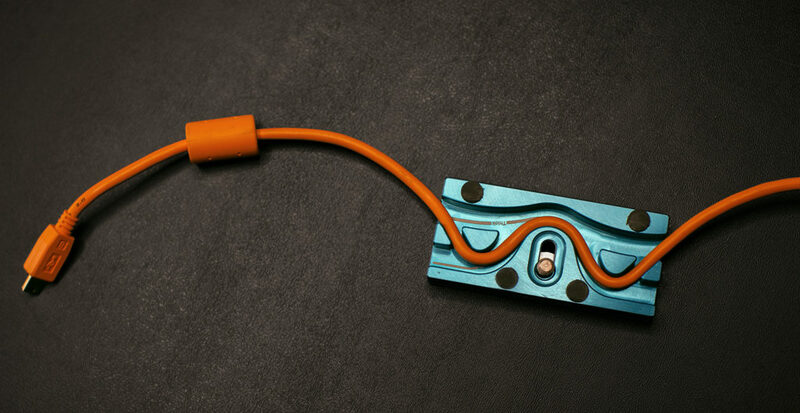 The TetherBlock QR Plus is made from machined steel and routed with a variety of different cable sizes in mind. Along the top of the unit is a few rubber feet, to protect your camera from any damage if you were to lock it too tightly. Also on the TetherBLOCK QR Plus, is two threaded holes allowing you to also attach accessories to the system, such as a BlackRapid FastR, for a strap system. To put it simply, I don’t ever expect the TetherBLOCK QR Plus to break or show any signs of wear. The premium materials ensure that this is a solution that you can rely on long term. The TetherBLOCK comes in two versions – the TetherBLOCK MC ($89) and the TetherBLOCK QR Plus ($99). The difference between the two is that one connects to an Arca-Swiss compatible tripod (the QR Plus), and one does not. While the price of one hundred dollars might seem a bit steep, it pales in comparison to the costs of replacing a broken USB port on your DSLR. Pairing that with the build quality, the price point feels far more reasonable for a product that will be used for years to come. Perhaps the only downside I faced when using the TetherBLOCK is an arbitrary one, and one I don’t have a clever solution for. For me, I am not tethering all of the time, but I’m looking to have a plate that I can have on my camera at all times. 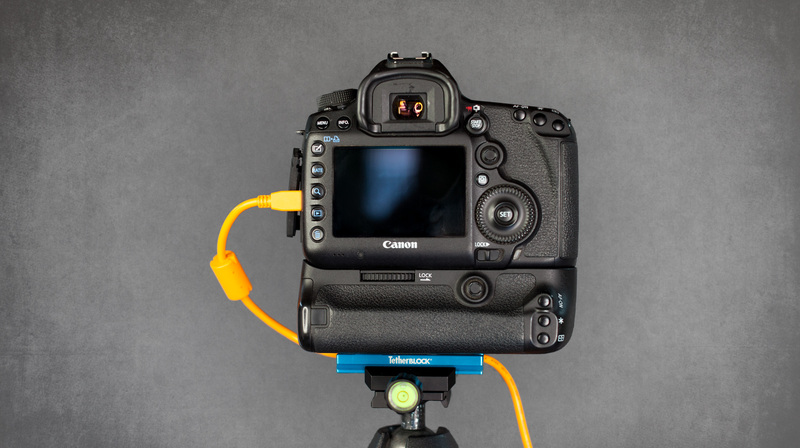 The TetherBLOCK QR Plus fills that void, however, since the cable mounts between the plate and the camera, it needs to be removed and reattached each time you want to run a cable through it. The obvious solution would be to route it from the bottom of the plate, but then the camera loses much of the locking functionality. So the reality is, I’m just being nitpicky, and have no solution to this minor problem in an otherwise innovative product. So is the TetherBLOCK QR Plus a must have tool? If you’re a tethering photographer, then I say Yes. There isn’t a product out and available that can do what this product does, and if you’ve ever done tethering before, you know how frustrating it can be when your camera becomes unplugged. And until Canon and Nikon start listening to their users and make their camera ports more robust and locking, the TetherBLOCK is the best solution to a problem we’ve all faced. The TetherBLOCK QR Plus is available for purchase on their website for $99, and the $89 for the TetherBLOCK MC.